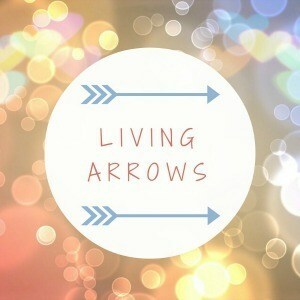 I can’t believe we’re already on week 49 of Living Arrows! I’m feeling pretty chuffed with myself for keeping up with it, to be honest! It’s been my non-negotiable blogging ‘thing’ for this year. I always worry that I won’t have a good enough photograph each week, but in the end I realise that it’s not a photography competition; just a reflection of Little M’s life and how she is growing and changing. This week I tried to get out and about with Little M a bit more, as I feel like we’ve spent too much time in the house since the weather has turned colder. On Monday we went to a free Rhyme Time session organised by our local Children’s Centre. It’s such a shame as there was only one other baby at the session, so I think our sessions within walking distance from home will be cancelled next term. They only happen monthly and aren’t widely advertised; it seems to be a case of use it or lose it, and we’re going to lose it. So on Tuesday, I attended a new class (to us), a car journey down the road in Wymondham, called Bop Tots. I’ll write about it more in a couple of weeks as we’re doing a few review classes to get a feel for it, but so far I can highly recommend it! 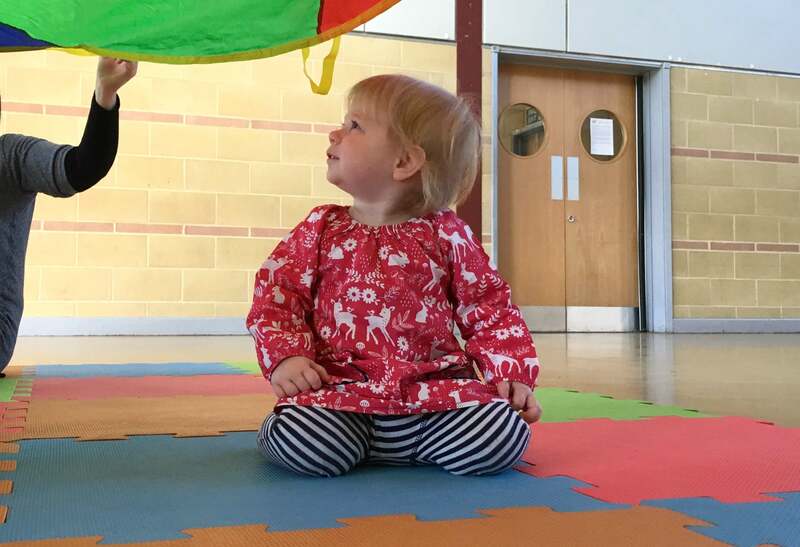 Little M had a lovely time, and was particularly enthralled by the parachute, as you can see in this week’s photo. Unfortunately I was working on Thursday so we had to miss our usual Tiny Talk class, but this coming week is completely free, so we’ll be going to Bop Tots on Tuesday and Tiny Talk on Thursday. I know Little M will enjoy them both so I’m really looking forward to it. Hopefully I can get some more photos of her getting stuck in! "My Christmas Day Cooking Schedule"
"Pondering Parenthood’s Toddler Gift Guide"
Aww she looks like she is having a lovely time. She is in awe of the parachute! She loved it again this week. M loves it and it takes less than ten minutes to get there, too! Win win!